TheYachtMarket.com Southampton Boat Show is the undisputed premier UK Boat Show; with over 500 exhibitors last year. Over 110,000 visitors enjoy the south coast based Show that runs over ten days and with this year being the 50th Anniversary, both British Marine and TheYachtMarket.com are fully focussed on ensuring the Show doesn't disappoint and delivers on all levels for both visitor and exhibitor alike. "The Show has a positive impact on the whole of The Solent area" says Richard W. Roberts, CEO and founder of TheYachtMarket.com; "It's celebrated by the local community as an iconic event and by the marine industry as an excellent opportunity for showcasing new products, meeting new contacts and cementing business with new sales. Being a local business, TheYachtMarket.com is proud to put its name to the Show and in particular promote boating to newcomers." enthuses Richard. David Pougher, President of British Marine agrees: "TheYachtMarket.com Southampton Boat Show produces a positive contribution to the industry, is well supported by exhibitors and visitors alike and is a highly successful event." 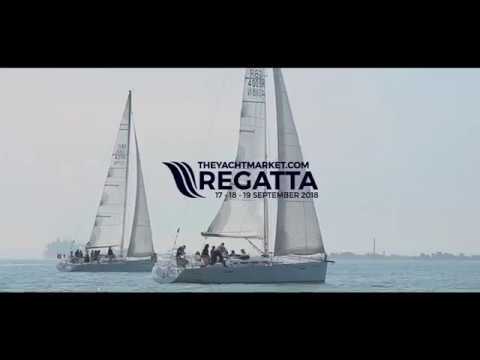 New for 2018 will be TheYachtMarket.com Regatta "The regatta is going to be spectacular," says Richard. "we're excited to be able to showcase yacht racing during the Show and will be inviting south coast businesses to take part; we will be releasing details soon on how to become involved". "We're looking forward to bringing some wonderful partnerships together," says Richard. "I am delighted that this year we are looking at ways to increase the interactive on-water events; encouraging the next generation to get on the water is so important". Early bird tickets for TheYachtMarket.com Southampton Boat Show 2018 are now on sale, offering a saving of more than 30%. To book tickets visit www.southamptonboatshow.com.